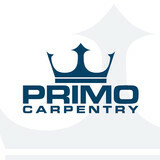 Founder Wilson Primo is an expertly trained master craftsmen with 10 years of custom carpentry experience. Wilson began his career fabricating custom built-in cabinetry for ultra high-end homes in Fairfield County, CT. A native of Brazil, Wilson’s “honesty above all else” attitude is valued most by his loyal customers. From custom cabinets to built-ins, crown molding and intricate custom trim on both residential and commercial properties, Wilson and his expert team have the experience. The expansion of PRIMO carpentry is largely thanks to the staff and crew that Wilson personally trains. As a result, the exceptional work of PRIMO Carpentry was recognised in the July/August edition of “East Coast Home + Design” View Full Edition . 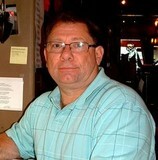 My name is Michael Todd Forno and I was born and raised here in New Jersey . I Manage every project from conception to completion. We are a residential building / remodeling firm doing business for over 20 years here in New Jersey , the great garden state. We specialize in building custom renovations and additions ,as well as new homes from the ground up. For Years our services provided our clients with a peace of mind you can depend on & trust as well as essentially making their dreams come true through our many levels of expertise & top quality craftsmen. My affiliates along with myself can take care of all your new building needs from inception to final completion and move in day. We strive to make every project run smoothly & be as least stressful on our client. From its inception in 2009, Art Woodwork has been deeply rooted in the rich European tradition of wood craft. Over these 5 short years we have evolved into one of the most prominent architectural woodworking establishments in the NY Metropolitan Area. Operating out of our 12000 SF. facility, we produce and install woodworking interiors and furniture, built in a wide variety of materials. With both, manufacturing and offices located in Linden, NJ, near Newark Airport, Art Woodwork provides Premium Grade Architectural Woodwork to the most discerning and celebrated clients in the tri-state area of NY/NJ/CT. Our slogan at Art Woodwork is;“ Experience the difference!”. Simply put, it means our products and services are aimed to please our clients beyond their expectations, now and long after the installation is complete. Our services encompass nearly every aspect of interior construction and renovation from design to shop drawings, engineering, dedicated project management, and true craftsmanship in production and installation. We cover from high end architectural millwork, custom high end furniture, interior wall and dry wall construction, painting, trim as well as entire renovations. From high rise luxury NY City residences and Luxury single family homes to hotel lobbies, restaurants, corporate offices, schools, government institutions, and more, Art Woodwork has furnished and installed high quality custom woodwork and built luxury interiors such as kitchens, baths, living and dining spaces as well as entertaining spaces. Art Woodwork is the Architectural Millwork source that benefits the demands of both, residential and commercial high end markets. We are known for our up-scale intricate woodwork, and are often commissioned by other millwork shops to fabricate such projects. 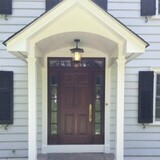 Spring Street Designs in located in Morris County, New Jersey. Privately owned and operated retailer specializing in home furnishings and custom woodworking design/build for over 25 years. We design and hand-craft custom furniture to suit every aspect of your home, from kitchens and dining, to bedrooms and baths, to home offices, Bars, billiard rooms, wine rooms and libraries - the possibilities are endless! Our design studio-retail space is located at 25b Commerce Street in Chatham, New Jersey. We are open Wednesday, Thursday, Friday and Saturday every week from 10:30 AM to 4:00 PM. Appointments available by request! If you have any questions about our services, please feel free to contact us. European trained carpenter with over 10 years of experience working in all aspects of home renovations. Work includes small carpentry projects such as custom radiator covers, to high-end custom cabinetry and built-ins. Greg is licensed and insured. Kurnat Woodworking LLC specializes in trim work, custom cabinets, kitchen and vanities as well as other architectural woodworking and carpentry. Check out our work and give us a call! WE CAN MAKE ANYTHING FROM WOOD that you can dream. CHECK US ON instagram @kurnatwood - we will show you how good we are almost every day. Owner Kris believe that he can help - together with his clients - " the real craftsmanship" survive next century !!! MCR Custom Kitchen Cabinet Refacing is a professional Warren cabinet refinishing company with years of experience providing homeowners with cost-effective, high-quality kitchen cabinetry solutions. Specializing in high-end custom finishes for kitchen cabinets, MCR Custom Kitchen Cabinet Refacing is here to provide homeowners throughout New Jersey with professional cabinet refinishing, cabinet painting, and cabinet refacing services that improve the overall look of their home's interior. Licari Woodworking, LLC has been in the high-end custom cabinet business for over 25 years serving primarily Westchester and Fairfield counties. We are a family owned business with a dedicated and skilled staff of 10 highly talented craftsmen. We specialize in high-end custom cabinets, kitchens including 3D renderings and scaled computerized shop drawings, vanities and medicine cabinets, Bookcases, Wall units, Mantels, bars and beverage centers, Libraries, offices and desks, Mud rooms, Bench seats, Closets, Wall paneling, Coffer ceilings, Cabinet design, modifying existing cabinets to fit new appliances and TV's, In house professional cabinet and trim installation. With over 35 years of experience, Dennis Burke and his team of master woodworkers has been designing, building and installing custom cabinetry and specialty furniture. His team of master woodworkers is dedicated to creating projects that full-fill your unique needs. Dennis works closely with clients, designers and architects. Handles both small and large projects. He is committed to producing fine architectural woodworking while establishing lasting relationships with our clients, from initial planning to final installation. With over 70 years of rich history, Black Millwork is an icon in fine, custom wood-working. And while our shop boasts over 8,000 unique moulding profiles, we've evolved to much more than just that. We have been serving the construction and architectural communities since 1938. For more than seven decades, our quality products, beautiful designs and personalized services have stood the tests of time and customer satisfaction. Black Millwork is a family-owned and operated business. 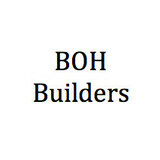 Four generations have perfected a reputation of excellence in the distribution of quality building products throughout New York, New Jersey, Connecticut and Pennsylvania. The same values hold true now as they did three quarters of a century ago. From dealing with reputable sources only, to offering the most diverse selection, to always besting the customer’s exacting standards – our company today is firmly planted in the very foundation that set us in place. At Fine Line Construction/Ren we offer quality craftsmanship in all areas of carpentry. We cover everything from that deck you've dreamed of to the custom built-in you've visoned time and time again. We pride ourselves on the basics of business, give the client what they want, be punctual, honest and fair. Using top quality domestic and exotic woods, and hand-laid veneers, Engberg Design and Development delivers the finest in contemporary and classic furnishings, millwork, cabinetry and impeccable attention to detail. Each project -- from creative conception through quality control to detailed finishing -- is personally overseen and completed in-house at their 15,000 sq. ft. workshop and showroom in Prospect Heights, Brooklyn, and is never subcontracted out to third parties. Founded in 2003, CARPENTRY Classics is committed to exceptional client service. Serving the greater Westchester and Fairfield Counties, CARPENTRY Classics applies the finest craftsmanship to all remodeling projects. Special care is taken to understand the client’s vision and ensure satisfaction with the end product. CARPENTRY Classics’ client first philosophy has redefined remodeling and cabinetry projects and become the benchmark of distinction for fine contractors and cabinetmakers in our area.